A slightly bigger version to the Sweepmater 650. 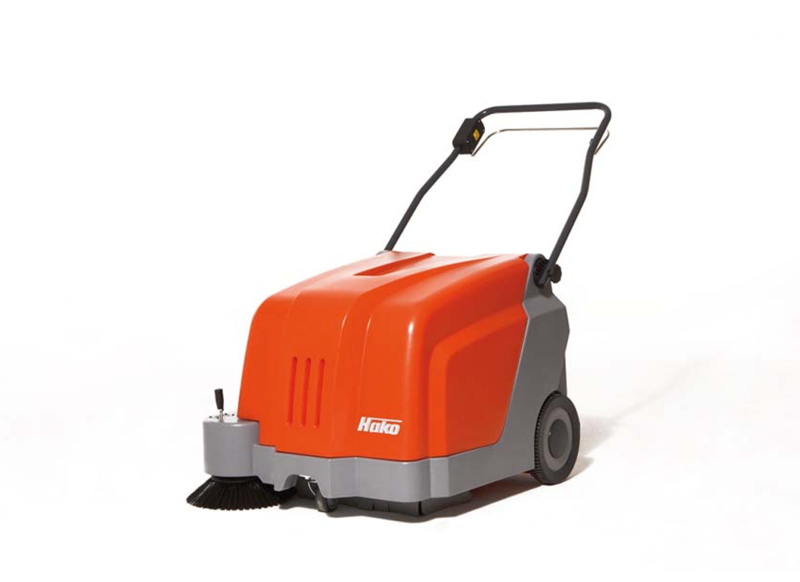 This walk behind sweeper to the Hako range comes with swivelling handlebar for easy access to and opening of the dirt hopper and to throw in coarse debris, parking brake with automatic release when starting the machine and high sweeping performance with the large main broom. 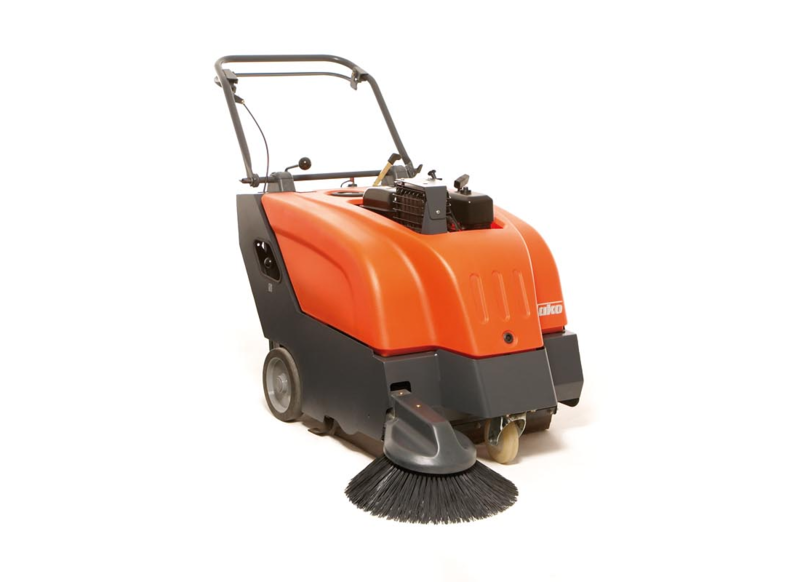 When dealing with the dust-free cleaning of small and medium-sized areas, the Sweepmater 800 simply cannot be ignored. It works according to the overhead throwing principle which allows the hopper to be filled completely and to the top. This provides long periods of uninterrupted work and a constant, first class sweeping result. For continuous and high work quality, the filter can be comfortably shaken clean during use. To clean it after completing work, it can be accessed from the clean side easily and quickly. The robust, steel frame construction in heavy-duty quality makes the Sweepmaster a really professional device which can clean surfaces efficiently for a number of years.